You don’t want gigabit Ethernet in your home, you just think you do. 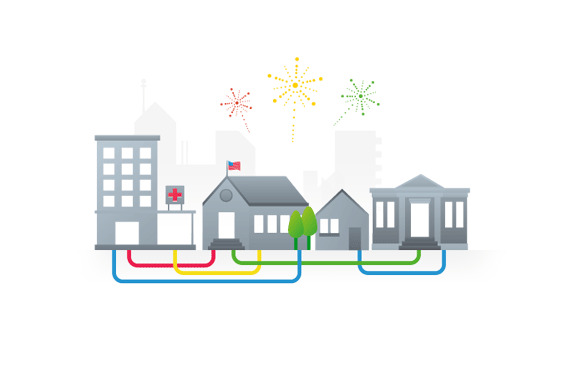 You may be jealous of the Kansas City residents who are enjoying gigabit Ethernet through the Google Fiber project. You may hope that your community takes up the Federal Communication Commission’s recent ‘Gigabit City Challenge.’ But the truth is, when it comes time to slap down your hard-earned cash for gigabit Ethernet, you don’t want it. Or at least, that’s what Irene Esteves, chief financial officer for Time Warner Cable, claims. During the Morgan Stanley Technology Conference on Wednesday, Esteves said only a sliver of TWC’s customer base subscribes to the ISP’s top-tier Internet speeds. "We just don't see the need of delivering that [gigabit Ethernet] to consumers,” Esteves said, as reported by The Verge. At first glance, Esteves’ comments sound, well, insane. Who wouldn’t want a super-fast Internet connection plugged directly into their home, assuming the price is reasonable? Continuing, Esteves said that very few of the company's customers subscribe to TWC's faster broadband plans. Let's dig into that a bit. The fastest speeds TWC delivers to homes, based on a quick examination of the company’s offerings in New York City, is 50 Mbps (down) for $75 per month. That’s a far cry from Google Fiber’s 1Gbps (1024 Mbps), which costs $70 per month—$5 per month less than Time Warner's 50 Mbps plan. Google Fiber's black box holds the key to gigabit Internet speeds. Prospective 50Mbps customers also have to dig a little to find that offering. If you just go with TWC’s three main service bundles, the fastest you can get is 20Mbps plus cable TV for $105 per month. There is an option to upgrade your Internet to 50Mbps in that package, or you can buy Internet service on its own for the aforementioned $75 per month. Perhaps not offering a super duper high-speed package right from the start is helping to drive down TWC’s demand for its higher Internet speeds? But there is an argument to be made that customers don’t really want, or can even use, a gigabit connection right now. Even Google Fiber had problems generating demand for the service just one month after launching the service in Kansas City, according to TechCrunch. Google’s plan was to prioritize Fiber installation in the neighborhoods where demand was highest, based on the number of homes in the area. But a low turnout forced Google to re-evaluate its demand quotas, which the company blamed on having bad data about the number of households in Kansas City neighborhoods. Then there’s the issue of what to do with your gigabit connection once you’ve got it. ArsTechnica hiked over to Kansas City to try out Google Fiber last November. The site reported that, in practice, Internet use over a gigabit connection wasn’t much better than regular broadband. Ars concluded that the problem wasn’t the speed of Google’s network, but that the rest of the Internet’s infrastructure—including high bandwidth services like video streaming—weren’t supporting true gigabit speeds. So gigabit Ethernet may not yet be all it’s cracked up to be. It’s clear that U.S. ISPs and the federal government need to improve broadband infrastructure across the country, but for the immediate moment, Time Warner Cable’s position on gigabit Ethernet may not be as crazy as it seems.